Terrariums are really on trend at the minute, they seem to be everywhere, but often they come with a large price tag. A more cost effective approach is to make your own, and better still it’s really easy to do, we created two terrariums in less than an hour. 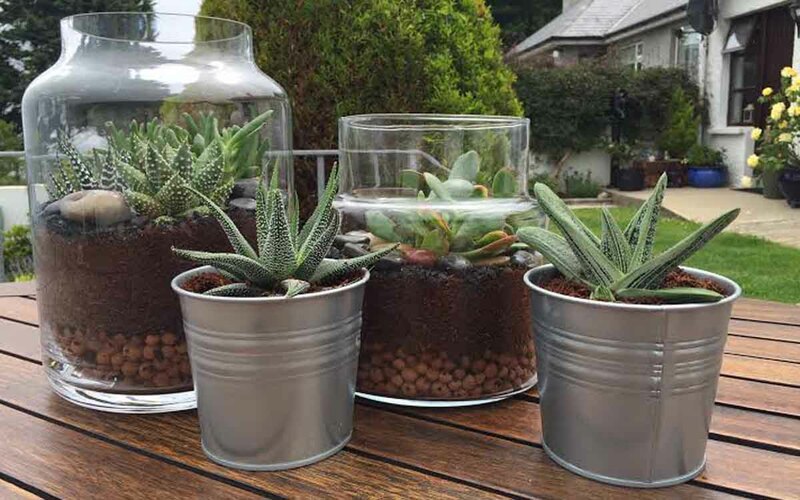 Terrariums are great for anyone who is a little less green-fingered than the average person as they create their own little micro system and they are easy to maintain. 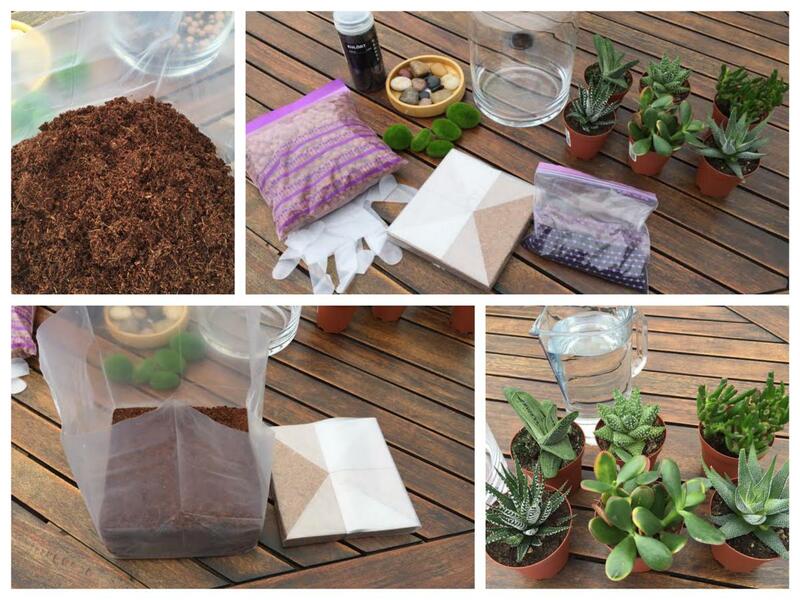 Check out our video below on a step-by-step guide to making your own terrarium. As part of the Live LAGOM project which we took part in there was a recent terrarium workshop at IKEA Belfast but unfortunately we were unable to attend as we were in glorious County Clare for my birthday. We were gutted to miss it though as it has been on my to-do list to create a terrarium for a while now, especially as I have a large jar that I’ve never really found a use for. 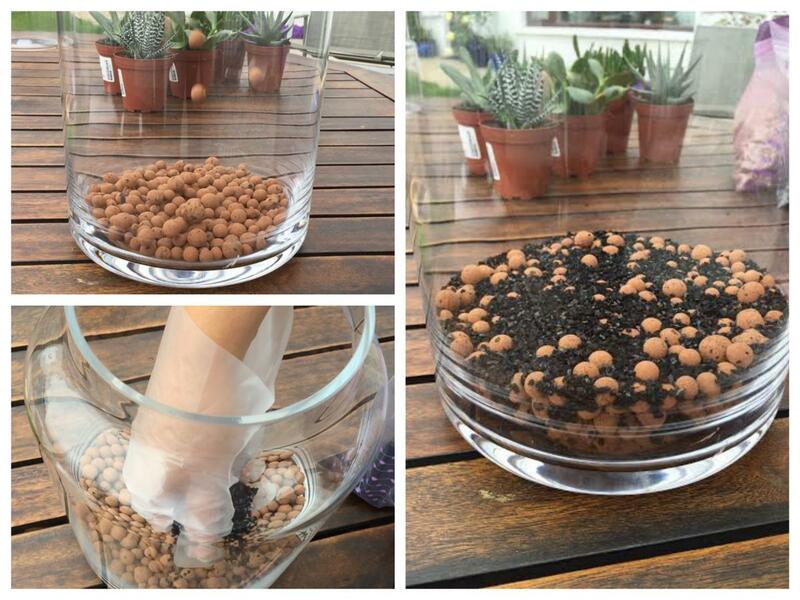 I got to have a recent catch up with the Live LAGOM team leader who explained how to make a terrarium and what you need, most of which can be bought from IKEA. Put on the gloves to keep your hands clean and set out everything you need in front of you. You may wish to put down a protective sheet. Clean the glass jar with paper and water, making sure not to use any toxins that may affect the plants. If you are using ODLA coconut coir growing material instead of normal soil you need to soak it for a few minutes to re-hydrate it before beginning. To do this, cut open the top of the ODLA bag and add 1.5 litres of water and allow to soak. Add a layer of pebbles in the bottom of the clean jar. We added about an inch and a half but this will depend on the size of glass jar you are using. The pebbles will help prevent the soil and roots from becoming too wet. Add a thin layer of activated charcoal, you don’t need to use much here but just enough to cover the top of the drainage layer. 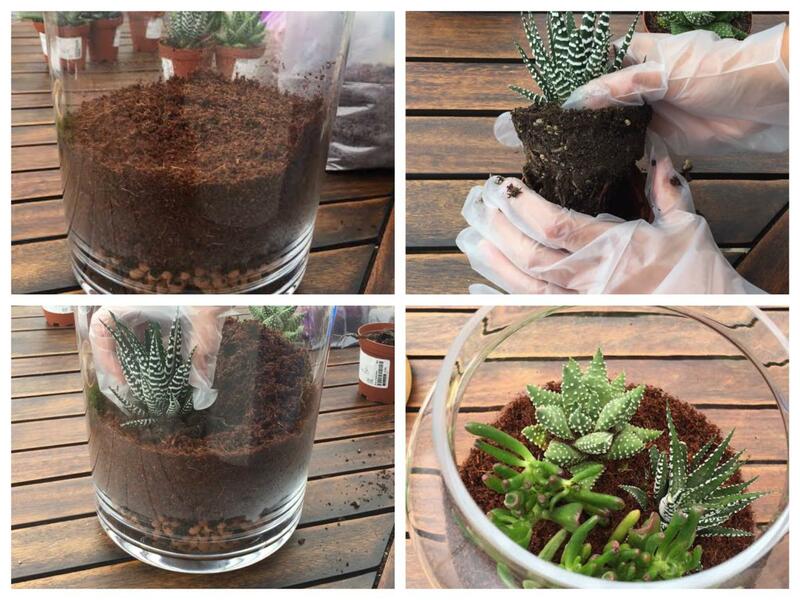 The charcoal will help to purify by keeping the terrarium healthy, reducing bacteria and absorbing any odour. Add a thickish layer of soil. You want to have the soil deep enough to cover the plant roots, bearing in mind that you will be cutting some of the roots away in the next step, and deep enough to allow for growth. Try to keep the inside glass that will be on show free from any soil or dirt as it will be hard to clean once the plants are planted. Once you are happy with the soil layer make a hole in the soil with your fingers for where you want to plant the plant. Take the plant out of the pot and break off the excess soil and roots. Don’t worry, the roots will grow back! Place the plant in the hole and gently pat the soil around, securing it into place. Repeat this process if you wish to add more plants. Try not to overcrowd the jar. Level the soil around the plants. Sprinkle a layer of stone or glass chippings around the plants. You want a thick enough layer that will cover the soil equally and create a clean layer. If any of the chippings become stuck in the plants you can use a wooden skewer to gently poke them out. You can now add a few polished stones or moss balls for decoration. Make sure the glass is clean before you display it. Terrariums are easy to maintain. Just add a little water once a week and place in a bright room. Your plants may not appreciate too much direct light and heat so try to find a nice balance. 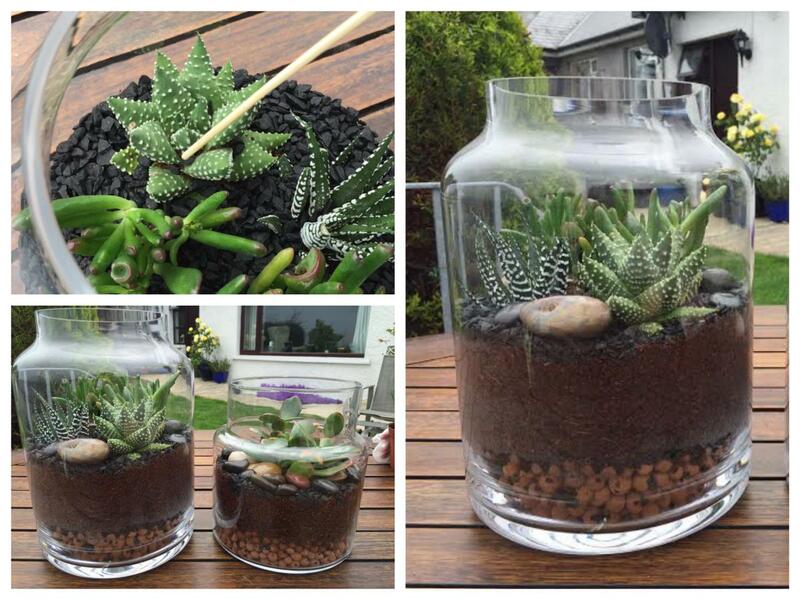 Why not get creative and try making terrariums out of unusual items! Let us know how you get on by commenting below or connecting with us on Facebook, Twitter or Instagram.